Far from being obsolete, projection has found its place in the third millennium. 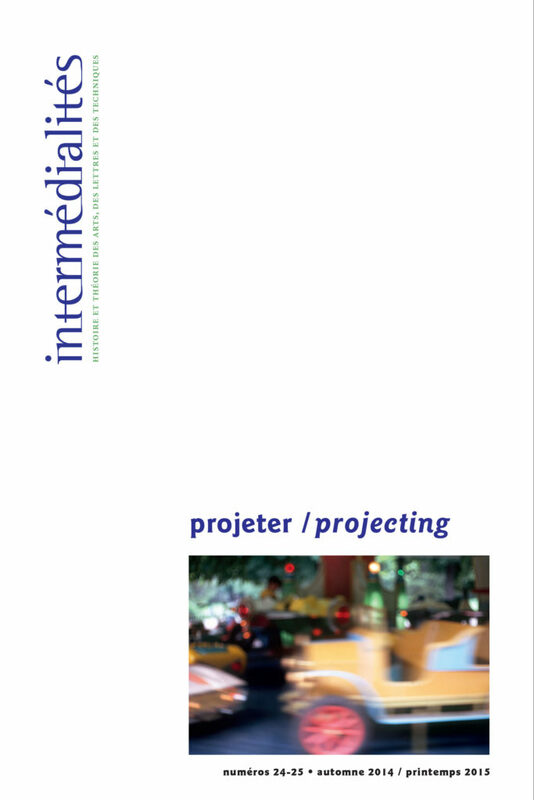 Today, projection cannot be thought independently of its digital developments and the role it plays in the transposition of knowledge and works from the printed page onto the screen. The displacement that is at work in the act of projecting can be conceived therefore in terms of the passage from wall to screen, but also, as we can read throughout this issue, in terms of a circulation between psyche and matter, memory and project, art and science, shadow and light, alienation and affirmation of the subject. This kind of circulation highlights the projective nature of all images. Indeed, by reversing the customary thinking that projection departs from a still image, the artist brings to the fore the projection that pre-exists any imaging activity.